Materials: a couple of graphite pencils, don’t remember which, as I was just starting out at this time. In early 2012 I took drawing seriously as you can probably tell! My work improved dramatically. In 2015 I began using color. 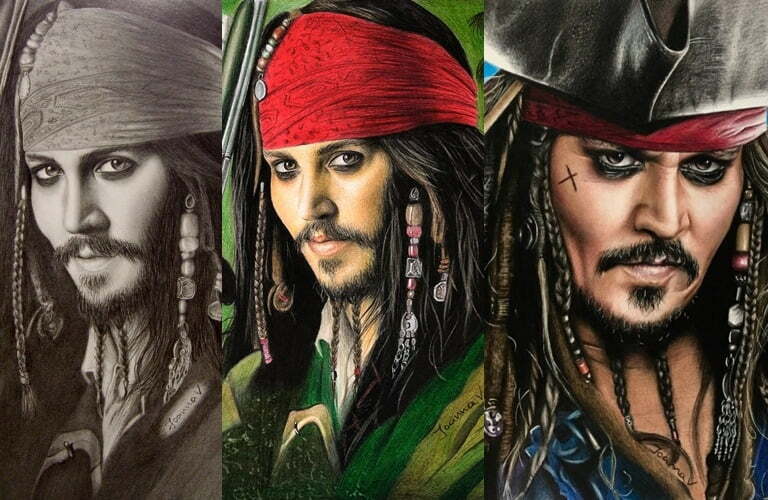 This is the exact same Jack I did back in 2013, drawn with colored pencils instead of graphite. Year: 2017. It is becoming a tradition every two years! From 2015 to 2017 I didn’t have the chance to practice as much as I would have liked. However, I think my art evolved anyway. I now feel more confident using color. Long story short: There is no limit on how far you can go. If you do what you do with love, honesty and respect, you can achieve anything. Would love to see your progress through the years! Share your “draw this again” photos please!